\n\n \n Specification:<\/strong>\n Reversible, zip away waterproof adjustable hood. Strong \nwaterproof PVC coated polyester on one shell. Non-pilling polyester \npolaire fleece on other shell. Fully taped waterproof seams. Windproof. 2\n way opening reversible zipper. Embroidery and print access through \nconcealed snap closing lower hem. Stud closing storm flap. Double stitch\n seams to stand up to everyday school wea rand tear. 3M\u2122 warning tab \nfront and back on all 4 sides. Storm cuffs. All pockets are closed by \nzips with material tabs. 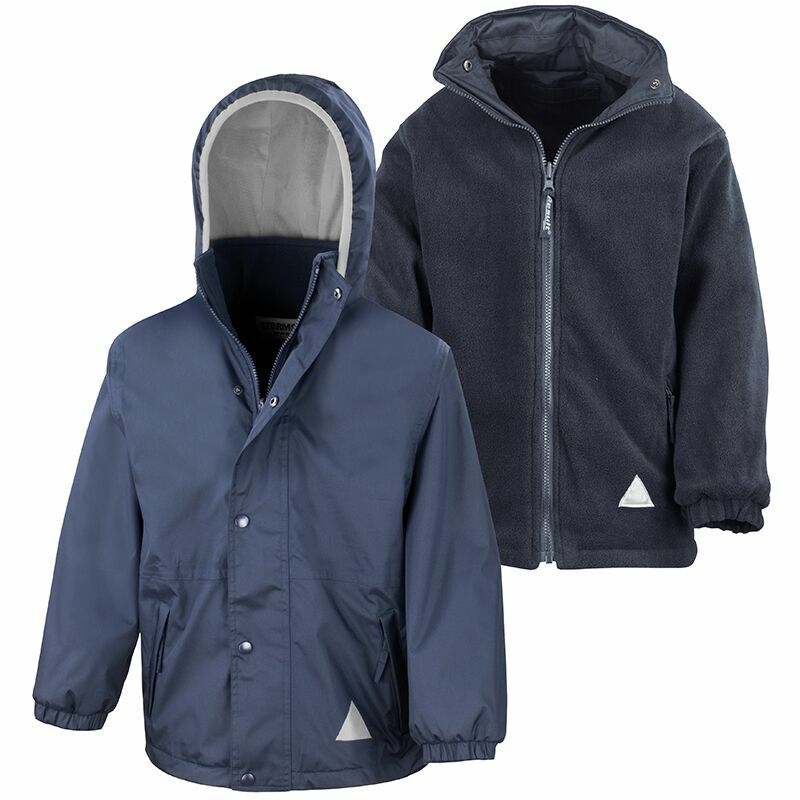 Specification: Reversible, zip away waterproof adjustable hood. 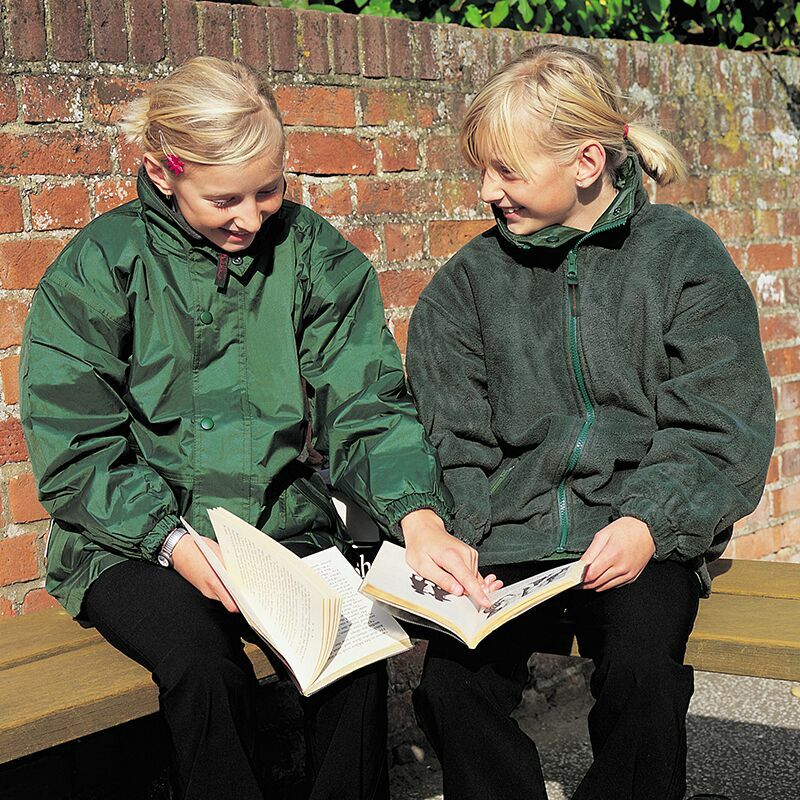 Strong waterproof PVC coated polyester on one shell. Non-pilling polyester polaire fleece on other shell. Fully taped waterproof seams. Windproof. 2 way opening reversible zipper. Embroidery and print access through concealed snap closing lower hem. Stud closing storm flap. 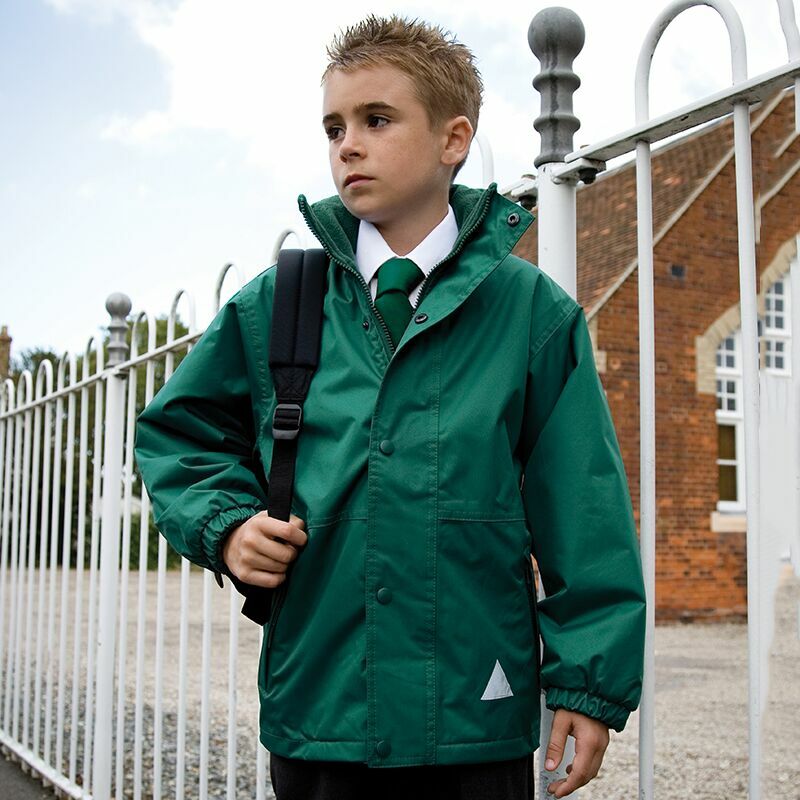 Double stitch seams to stand up to everyday school wea rand tear. 3M™ warning tab front and back on all 4 sides. Storm cuffs. All pockets are closed by zips with material tabs. If you are looking for something personalised for yourself, a club or a sports team,why not take a few minutes to browse our catalogue.